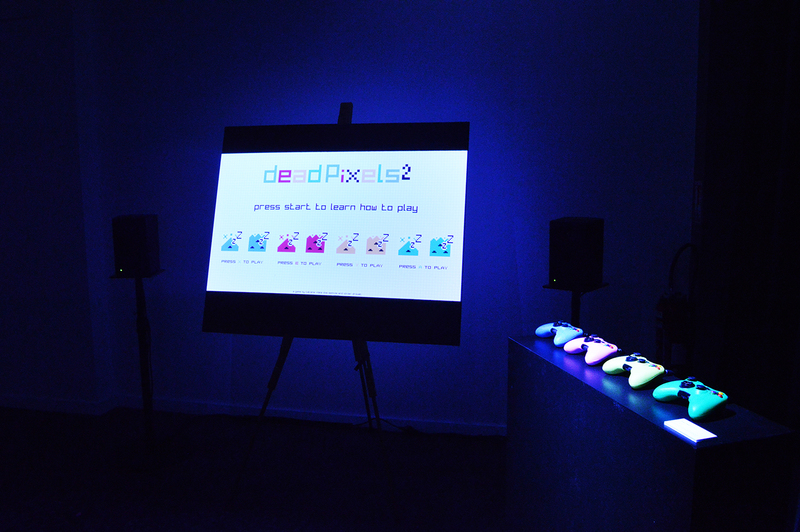 Dead Pixels² is a competitive and cooperative game for 2 to 8 players. 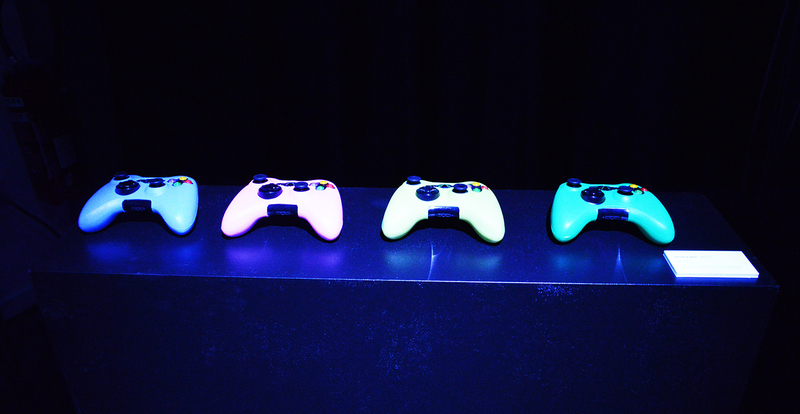 Each player is provided with a standard gamepad allowing him to move its squared avatar on a virgin canvas. By doing so, the player can paint the background with his team's color. When a closed shape is drawn, it automatically fills itself with color. Mixed colors produce black dead pixels, an irreversible state. Game ends after ninety-nine seconds or when the white matrix is full of colors. Team with the more covered areas wins the game. 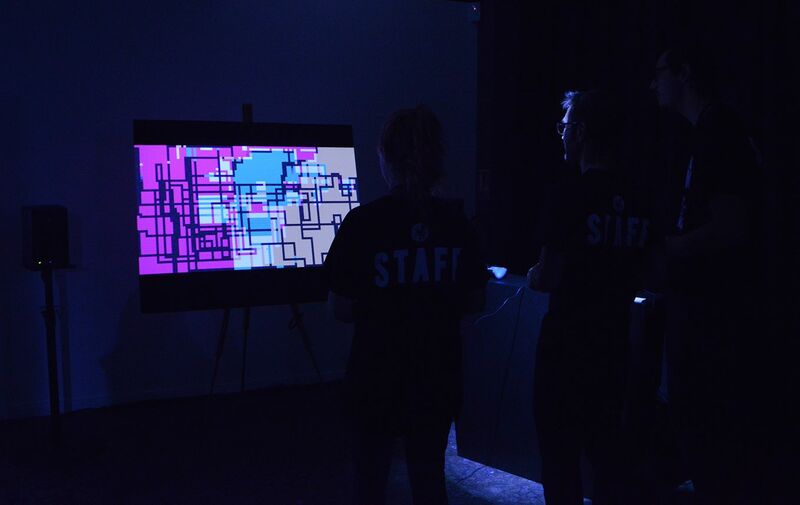 This emergent gameplay aims to provide both a tactical and creative playful experience. 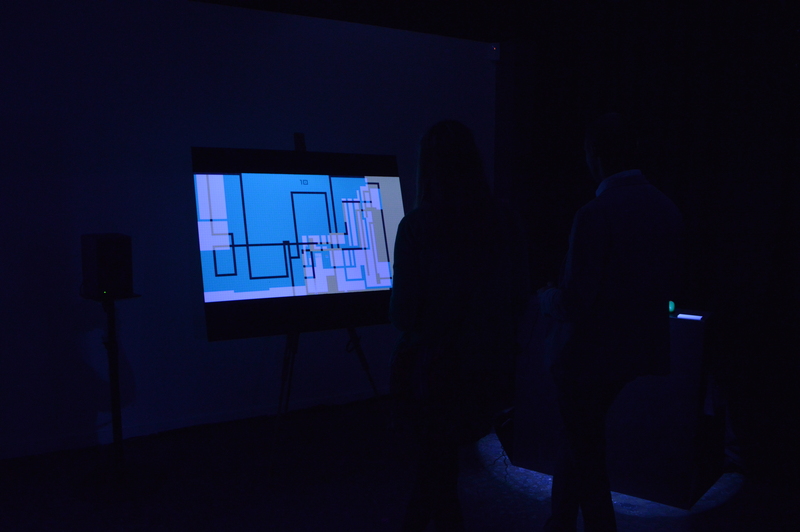 The game is projected on a real canvas fixed on an easel and usually exhibited alongside L'Atlas des matrices.